So I was on vacation and I haven’t updated my blog in some time. 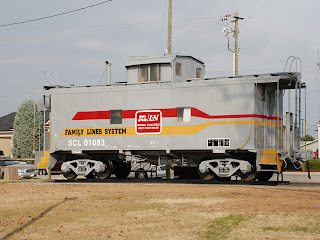 I took some railfan trips, to Hamlet, Aberdeen, followed the Durham and Southern from Apex to Dunn, NC, went to Selma, NC on the old ACL mainline. It was quite a vacation. I have a ton of stuff to update http://www.rtprailfan.com/ with. Also, the search engine optimization we did is paying off, for some reason i’m highly ranked for “amtrak cary.” I guess because of the one article I have on amtrak and Cary, NC. I went there also. I also am working on a video page but I did some stupid stuff the other night in Dreamweaver and I screwed up one of my CSS pages. I need to fix that tonight. Hope everyone had a good holiday and check out the page, I’ll have new stuff soon.